Michael and Sally are co-directors of the business. 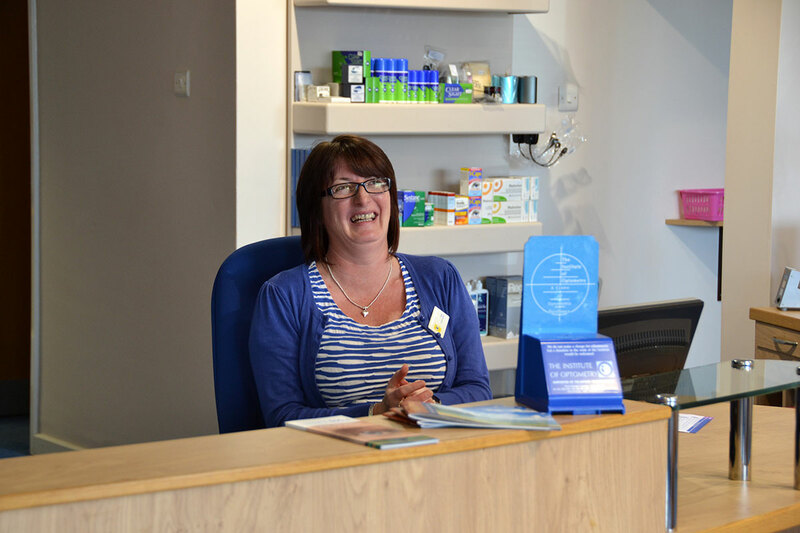 Together they have grown and developed the practice to offer not only the latest technology but also a pleasant environment with a team of loyal, friendly and knowledgeable staff. 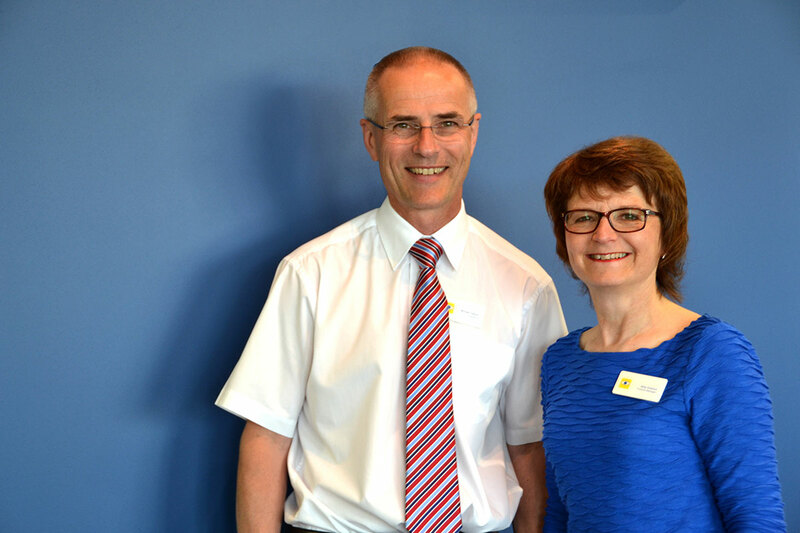 “We like to feel that many of our patients have become friends over the years”, said Michael, “together with the team we create a welcoming atmosphere where we can spend time with people to resolve their visual problems”. Trained at Aston University, Michael Graduated in 1978. He moved to Loughborough, Leicestershire to pass his professional qualifications, working with two recognised experts in contact lenses. In 1984 he took over the Fishguard practice. Michael has clinical interests in contact lenses, children with learning difficulties and dyslexia and digital images of the back of the eyes. From May 2008 to May 2010 Michael represented his professional colleagues throughout the UK as Chairman of the Association of Optometrists. Michael works on a number of committees concerned with eyecare within Wales and the UK. Sally trained and worked as a primary school teacher before having a family. 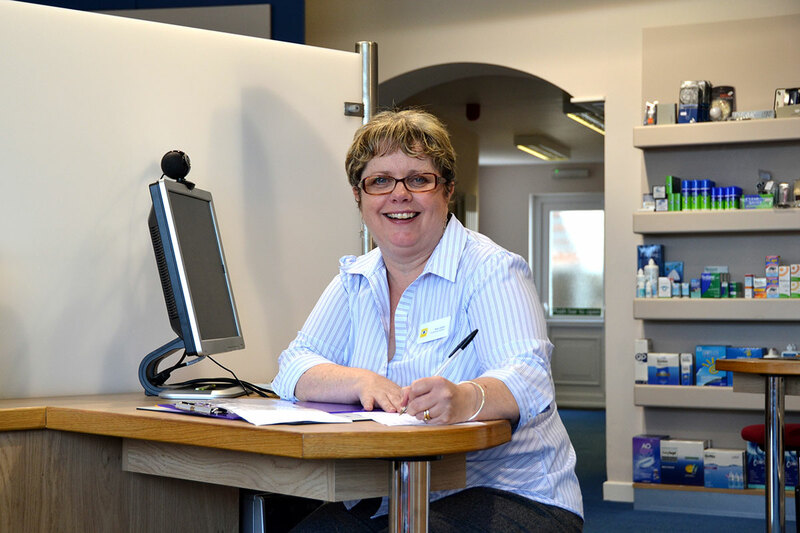 When Sally and Michael moved to Fishguard she became gradually involved with the practice taking over responsibility for accounts and helping on reception. Now she is full time practice manager and a director of the business. 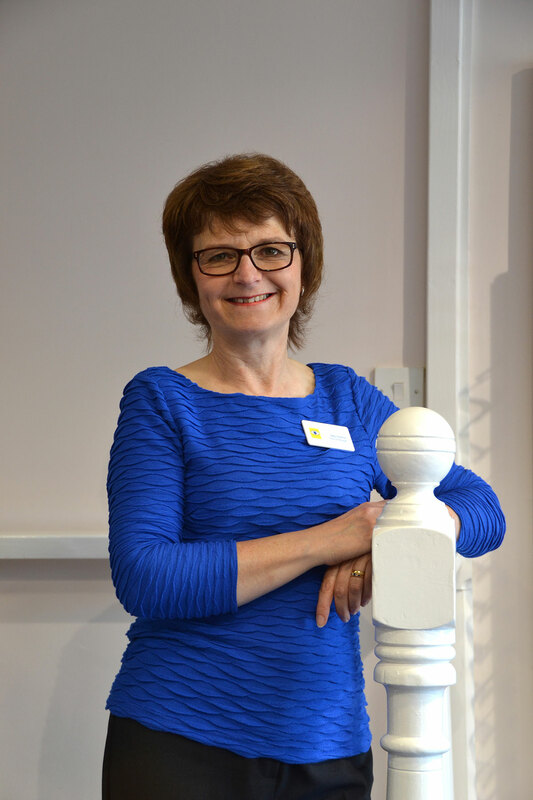 Sally enjoys the interaction with patients and advising on frame style, alongside all the many tasks of running a practice. Sally likes reading, walking and sailing with the family in her free time. Following in father’s footsteps, Optometry was the natural choice for me. I’ve worn glasses and contact lenses since my teens and was interested in this field from an early age. I graduated from Cardiff University in 2005 and after undertaking my pre registration year in Bournemouth in a low vision clinic, I moved back to Wales to start working in Fishguard. My clinical interests include the effect of smoking on the eye and the role of nutrition in maintaining healthy vision as well as paediatrics. Aside from work I enjoy living in Pembrokeshire, surfing and playing music. Robin graduated from Aston University. His professional registration was completed in Moorfields Eye Hospital in London. He worked in a number of practices in the Midlands before moving to Pembrokeshire in 2000. 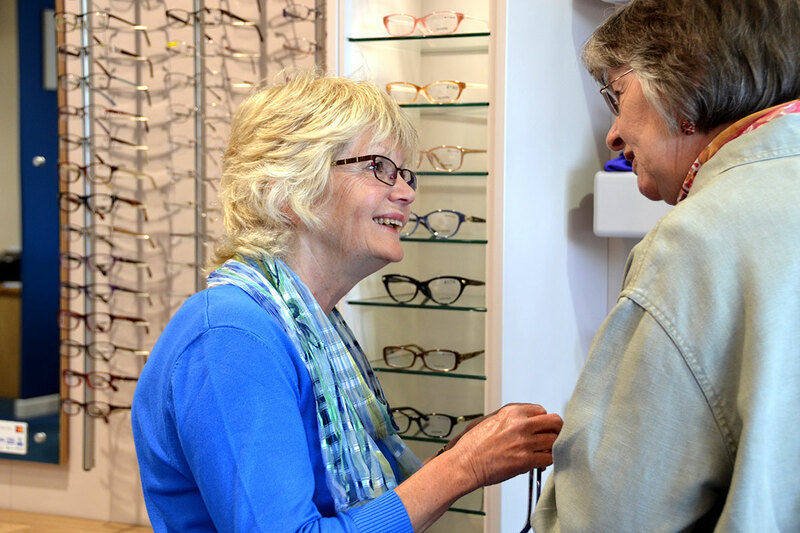 Robin has a clinical interest in contact lenses and low vision aids for people with partial sight. 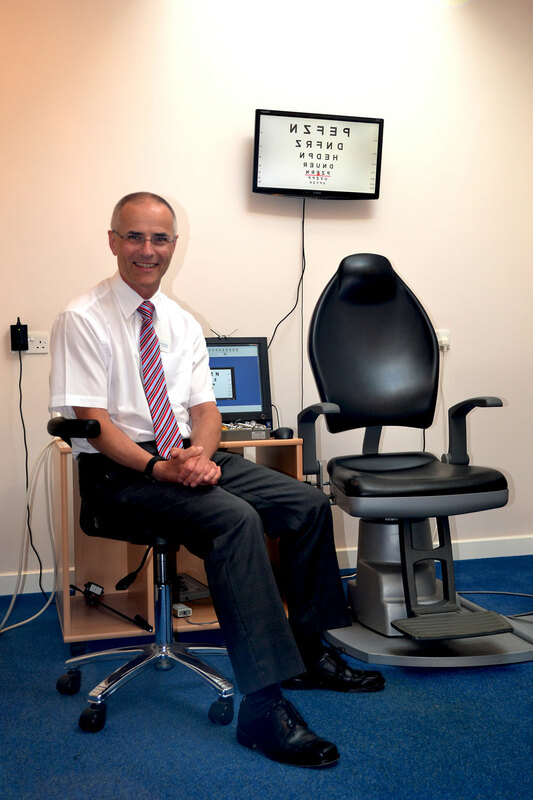 He is currently a member of the Welsh Optometric Committee which advises the Welsh Assembly on Optmetric matters and is currently helping to promote closer links between Optometry and the Hospital Eye Service nationally in regard to children’s eyecare. I trained at the Liverpool Eye Hospital as an ophthalmic nurse. After a transfer to general nursing, I moved to the Oxford Eye Hospital and returned to ophthalmic nursing for 10 years. 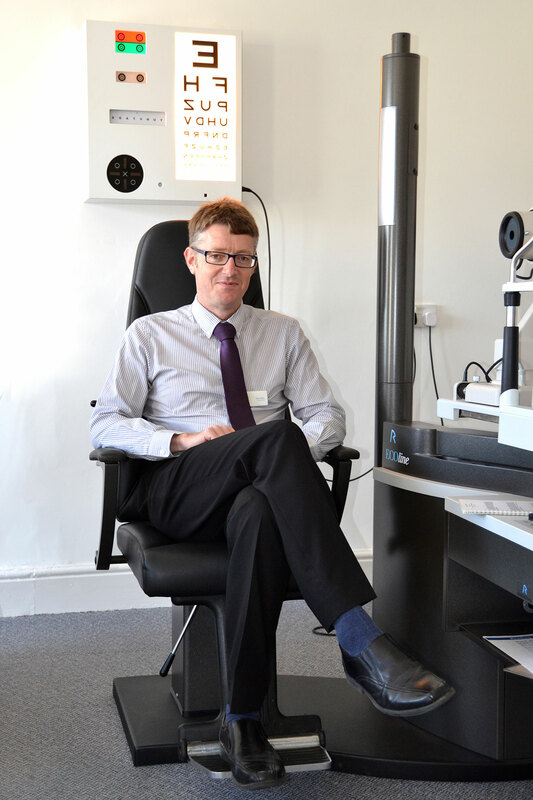 Following a career change and qualifying as a Dispensing Optician in 2004, I worked in Oxfordshire for 7 years gaining experience in a variety of optical practices. I really enjoy advising on frame and lens selection. 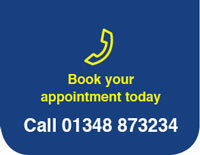 A nursing background gives me a keen interest in supporting the optometrists with advice or tests where its appropriate. A lifetimes ambition to live close to the sea and learn to sail has brought me and my family to Cardigan. 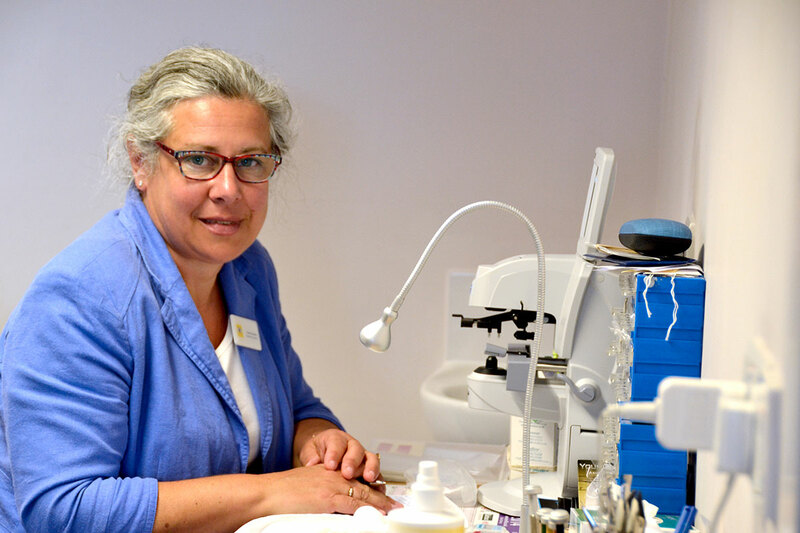 Anthea trained at City College London as a Spectacle Makers Company technician and as a Dispensing Optician, qualifying in 1988. Anthea worked for one of the largest spectacle manufacturing companies for 10 years, in Gloucester and then managed a practice in Cheltenham. 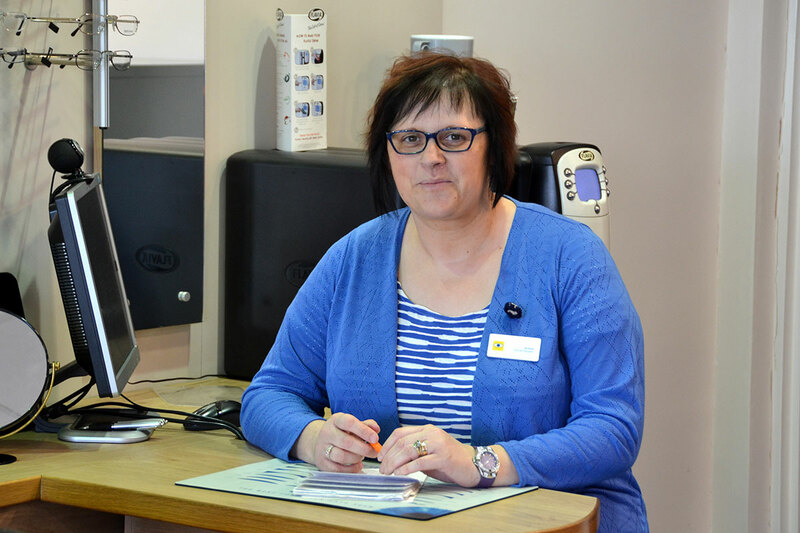 Moving to Yorkshire, Anthea became the Manager for the Eye Clinic in the optometry department in Bradford University in 1998, helping in the training of the next generation of optometrists. 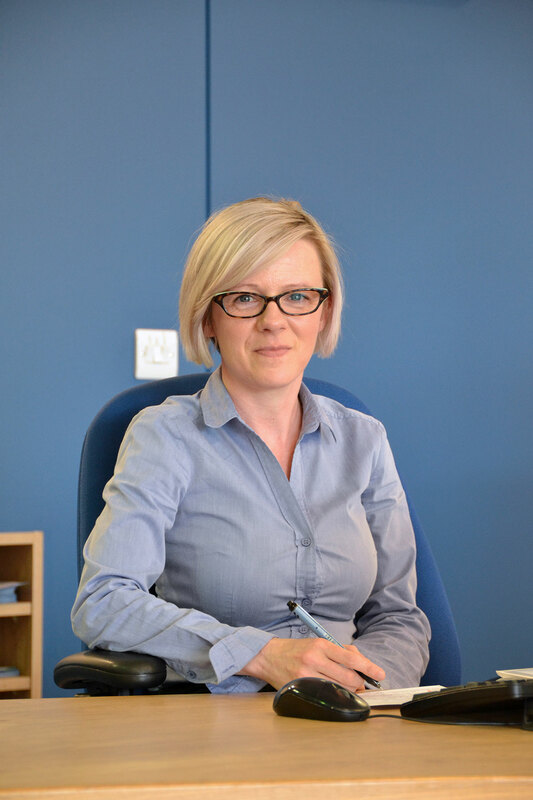 Anthea joined the practice in October 2006. She is an active member of the Vision Aid Overseas charity, providing eyecare to citizens in Africa and India. 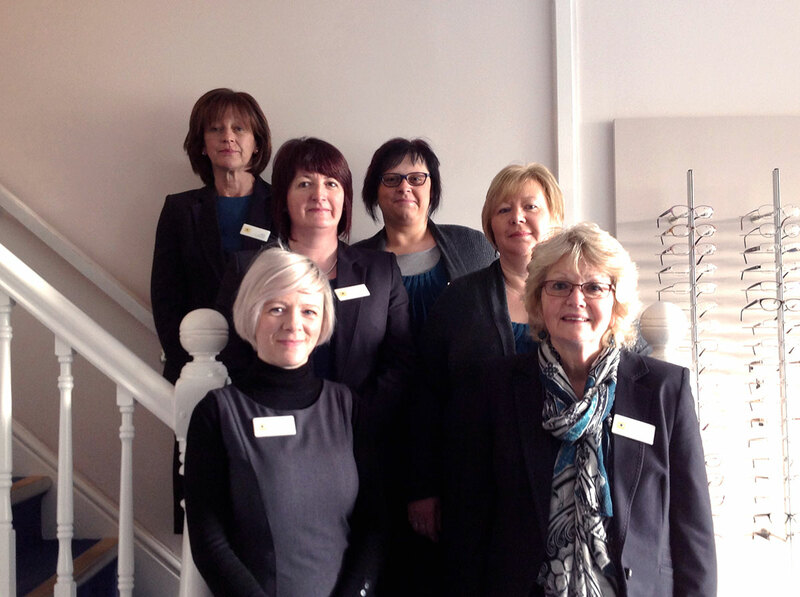 Our team of ladies help keep everything running smoothly from booking your appointment to assisting you choose a new frame. Answering the phone with a smile they will deal with your query as efficiently as possible; whilst quietly in the background coping with the constant paper work. These are the ladies you will meet on reception.